The Most Wonderful Term of the Year Spring Term allows W&L students to focus intensely on one topic for four weeks, or to create an experience that is unique to their educational path. 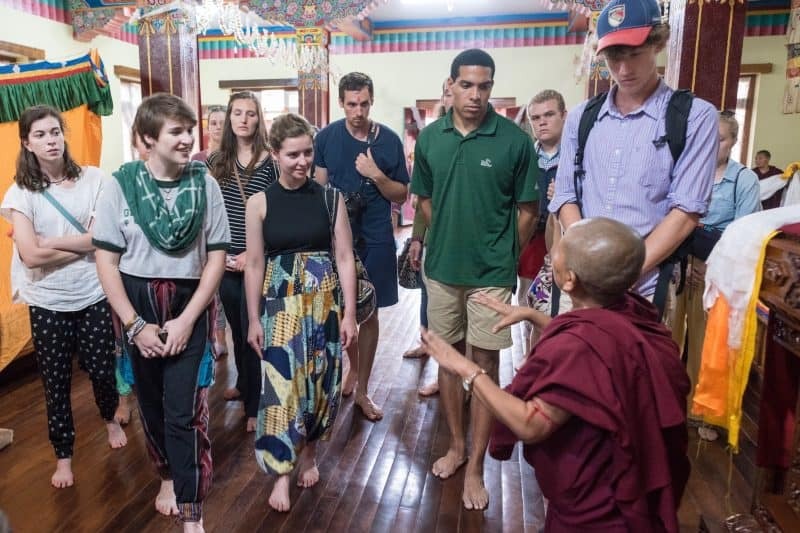 Students in the Spring Term Abroad course Caste at the Intersection of Economy, Religion and Law enjoy a guided tour of Thukche Choling Nunnery in the Swyambhu neighborhood of Kathmandu, Nepal. Winter Term grades are in the books and Spring Break is in the rearview mirror, which means Washington and Lee students are gearing up for some of the most exciting educational experiences they will have during their college careers. Whether they are viewing the history of Paris through a photographer’s lens, learning about geology in New Zealand, or building robots in the science center on campus, most students will be immersed in a single topic for the next four intense — but exhilarating — weeks. During Spring Term, faculty incorporate nearby resources into the curriculm, taking students on day trips or multi-day excursions; many more take students abroad to places such as Denmark, France, Africa, Switzerland or Belize, where the coursework and the local culture intersect. Some courses cost extra, especially those with a travel component, but W&L is committed to providing extensive financial support to fund the Spring Term experience. In addition, about 10 percent of the student body each year takes Spring Option, which allows them to customize the four weeks to accomplish a personal goal, such as doing an internship, traveling, participating in a service or educational program, preparing for professional exams or embarking on a new career. 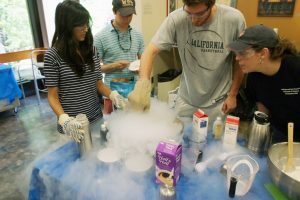 Examples of students’ Spring Option activities this year include volunteering with Rockbridge Area Hospice, getting a head start on summer mathematics research, conducting job interviews, performing music and attending an investment banking boot camp. Students write and draw complete comic books in the Spring Term class Making Comics. No two Spring Terms at Washington and Lee are alike. This year offers about 40 courses that have never before been offered, including a critical and cultural analysis of video games, a look at modern-day slavery in Ghana, and a study of international crises and national security. Other students are writing and drawing their own comic books from start to finish, examining the history of dance throughout Europe, touring Scotland to absorb the history and culture of theater, and learning the anatomy of corporate fraud.